WANT TO LOOK AMAZING ON THE BEACH THIS SUMMER? HOW WOULD YOU LIKE TO WIN A €1000 HOLIDAY IN THE PROCESS? After the success of The Summer Shape up 2017, we are bringing it back and it is bigger than EVER! Last year there was a €1000 holiday up for grabs. Letterkenny's BIGGEST fitness prize EVER. This year we have teamed up with the guys from Atlantic Travel in Letterkenny and we now have 2 FANTASTIC PRIZES up for grabs. 1st prize is a €1000 holiday. 2nd prize is a €500 holiday. How awesome is that?? What's even better is, we will be getting you in shape throughout the summer, so you are looking your best if you win one of our AMAZING prizes? THIS IS WHAT YOU'LL GET WHEN YOU JOIN THE SUMMER SHAPE UP 2018. Full and complete nutrition guide. No calorie counting, no points counting, no banned foods so that you can side-step boredom, binges & fit your weight-loss into your busy lifestyle. A full cookbook with 130 recipes that are ideal for busy professionals & family life. Simple, easy to make, calorie counted & very delicious. Fun weekly challenges, to keep you motivated, get you fit and help you to be in with the chance of winning one of our great prizes. AND, we'll help you to drop those unwanted pounds and look Lean and toned this Summer season. Letterkenny's BEST training plan. That IS designed to hit those wobbly bits, tighten and tone you and to fast track your fat loss efforts. 31 classes to choose from, so you are sure to find one to suit your busy schedule. 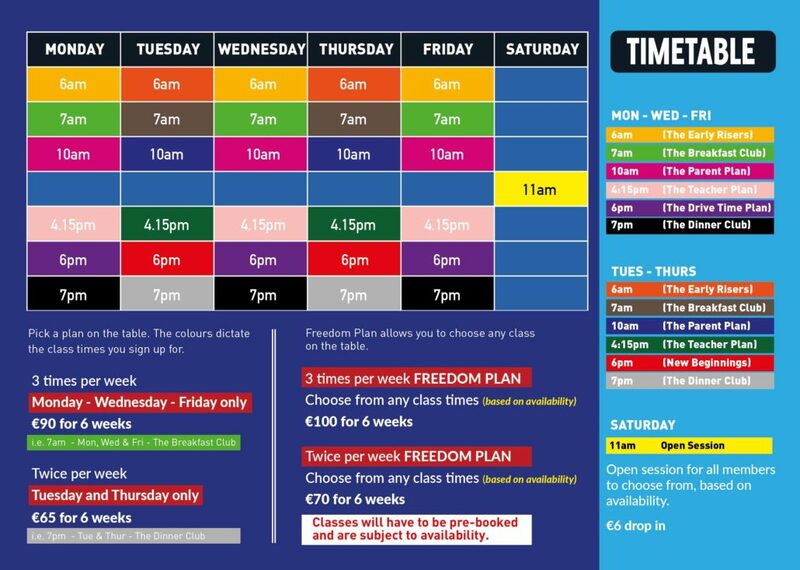 4 different membership options, including 2 freedom options, so you NEVER have to miss a class. Letterkenny's 1st and best Private Facebook Community, to give help and support, because a positive & supportive environment helps you to ramp up your results. THE CHANCE TO WIN 2 FANTASTIC HOLIDAYS WORTH €1500. HAVE A LOOK AT WHAT OUR HAPPY CUSTOMERS ARE SAYING AND SEE WHAT YOU COULD ACHIEVE! Would highly recommend Rushe Fitness. Started there having not exercised much for several years. I felt nervous going at first but shouldn’t have. While you are encouraged to challenge yourself you are supported to do so at a rate that is suitable for you. The classes are always changing, never boring and because of the variety within the class I found I did more than I thought I could. Lovely friendly people and great motivation and encouragement. First time I have enjoyed and stayed engaged in a fitness class for a long time. Thankyou Rushe Fitness. I’m just over 2 stone lighter & 16 odd inches smaller overall – I’m healthier, fitter and I’ve one whole hour that’s just for me between busy work & home life. I picked up the courage to get back into exercising in 2016 and signed up to a 6 week challenge with Emmet in Rushe Fitness. I’m currently doing the Little Black Dress challenge. The results from this program are amazing, and I think the reason it works so well for me is because it’s straightforward, easy to follow and varied, and caters for all fitness levels. The food plans provided are ideal for a busy working mum and are suitable for the whole family. Great ideas for tasty filling meals and snacks. The support and advice you get from Emmet is invaluable, both in class or online. If your goal in 2018 is to get healthy, tone up and lose some weight! Just take the plunge, I lost 18lbs in my first 3 months by following Emmet nutrition plan. I couldn’t recommend it enough. 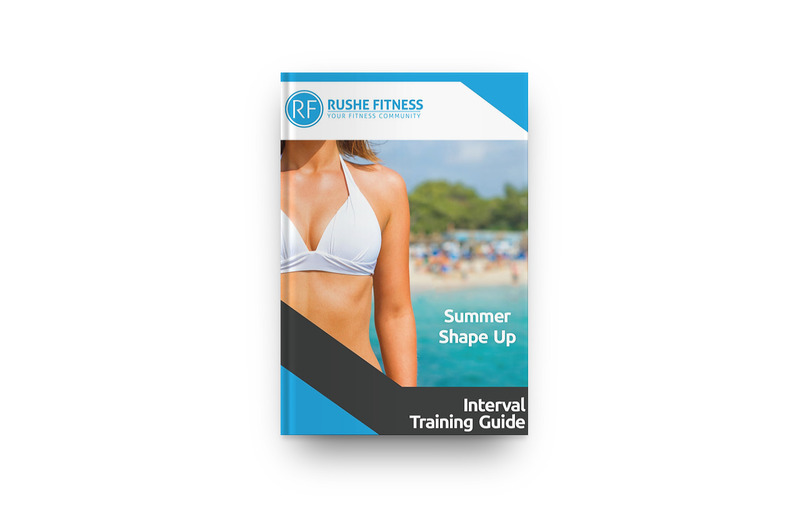 I joined Rushe fitness not necessarily to lose weight but more as a lifestyle change, wanting to be more active, eat better and generally feel better. People are always telling me that it’s not sustainable and why am I “punishing” myself by not eating crap! I’m fortunate that I enjoy eating healthy foods and very rarely go near the bad stuff anymore, not just because I’m part of this group but like I mentioned, it’s a lifestyle change, not a quick fix! Myself and my wife work conflicting schedules and being a part of Rushe fitness has not only been a great way to get fit and healthy but has also turned out to be a great way to make time to do something together. But even coming home after class and having that small window of opportunity to sit down and have breakfast together has been great. I need a new wardrobe! No more xxl or xl and very few L’s, and out with the 38″/36 and 34″!! More to the point it time to lose the safety net!! I’m never going back there!! All these old clothes are for a charity shop. This is a real world one change. TAKE A LOOK AT THE SUMMER SHAPE UP 2017 AND SEE LAST YEARS WINNER RECEIVING HER GRAND PRIZE. WHERE WOULD A €1000 HOLIDAY VOUCHER TAKE YOU? SIGN UP NOW AND YOU CAN HIT THE BEACH WITH CONFIDENCE THIS SUMMER AND BE IN WITH THE CHANCE OF WINNING A €1000 OR €500 HOLIDAY ALONG THE WAY. BECAUSE IT’S MY MISSION TO HELP YOU GET RESULTS. WHEN YOU SIGN UP TO THE CHALLENGE, I AM ALSO GIVING YOU MY EXTREMELY POPULAR MEMBERS ONLY GUIDES. Lean and Lovely Abs guide to tone those tummies. The Fast and Furious Interval Training Guide to Supercharge your fat loss. With the NEW Summer Shape Up program, We have 4 fantastic options to choose from. WANT TO JOIN THE SUMMER SHAPE UP? The Summer shape up program runs over 2 separate 6 weeks blocks of classes. Both need to be signed up for to be in with the chance of winning the prizes.